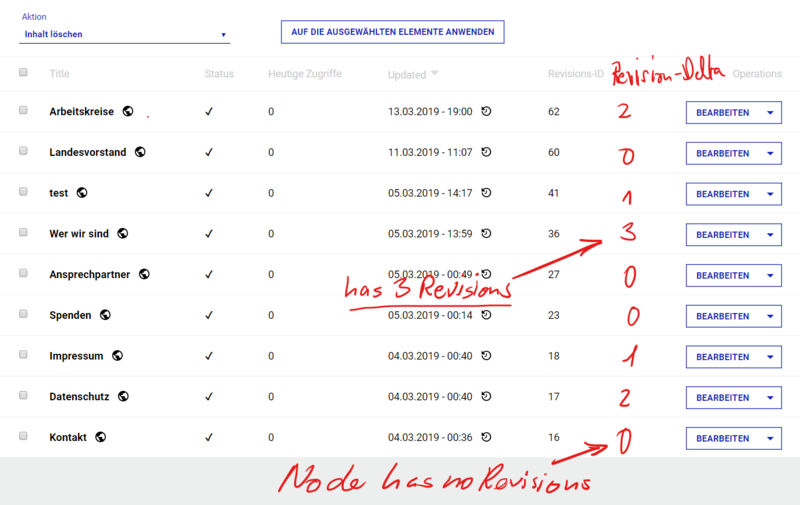 It can't find anything like delta revisions or has revisions in views and i can't find any modules for Drupal 8. It would be perfect if i could solve it out-of-the-box with view relations or context-filters, but i wasn't lucky yet. Alternatively it would also be helpful to show if a node has any revisions or not. Background: I have this "Revert to previous version"-button (icon) that links to the /node/ID/revisions page. If there are none, it leads to a no-permissions-error. I would like to hide it for those nodes. Browse other questions tagged views nodes or ask your own question. How to implement Administration UI notifications for new revisions?